Fun & quirky slogan cushion for your home. 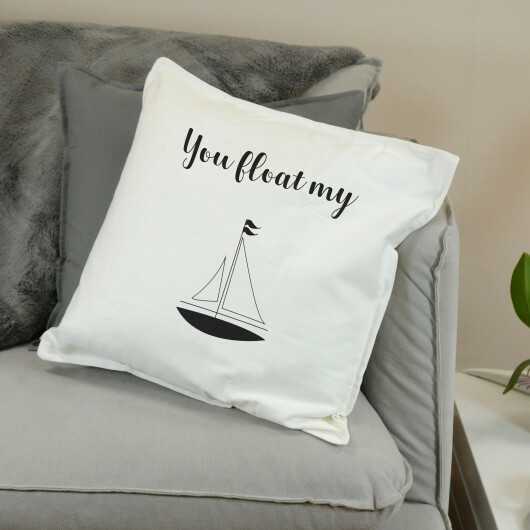 This cushion cover features a fun 'Float My' script design with a boat image. The cushion makes a perfect gift for a loved on as a Valentine's day gift. The cushion is made from Cotton and measures 50x50cm.